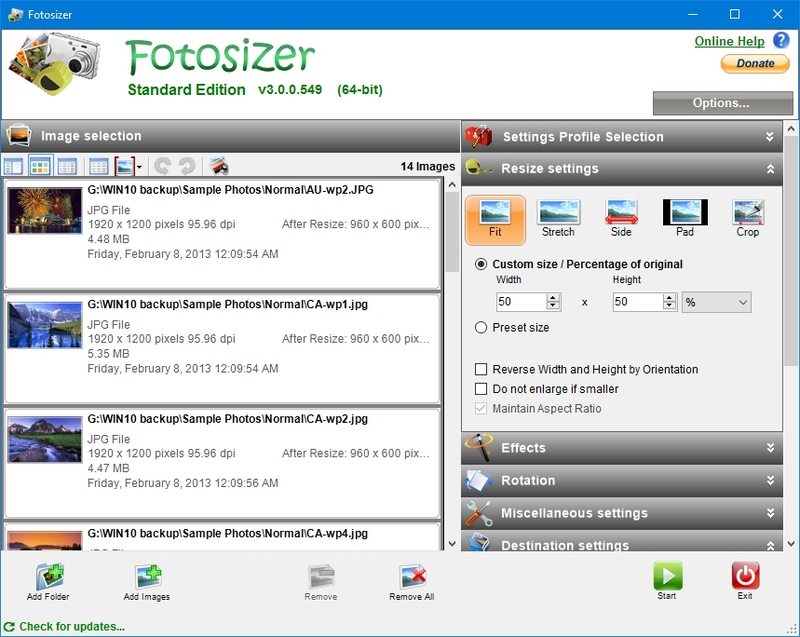 Fotosizer's settings can be very easily setup allowing you to quickly resize your photos. Photos can be dragged and dropped into the Photo image list or added using the 'Add Folder' or 'Add Image' buttons. If you do find photos in a folder that you don't want to resize, you can easily remove them from Fotosizer by using the 'Remove' button. Fotosizer allows you to resize based on a custom width and height in pixels chosen by you. Or, resize based on a percentage of the photo's original width and height. You can choose where your resized photos will be saved and how they will be named using the 'Destination Settings' area.